These past few months I have been trying to dress up more colorfully. I realized that my wardrobe were filled with mostly grey, black, white, and blue. So I made a goal to wear something bright. I'm still learning to know what colors that work with my skin tone and hair color (yellow skin and dark brown hairs). Oh dear, it's very challenging and yeah fun! When I spotted this beautiful SMK orange coat I immediately said "I must have this". 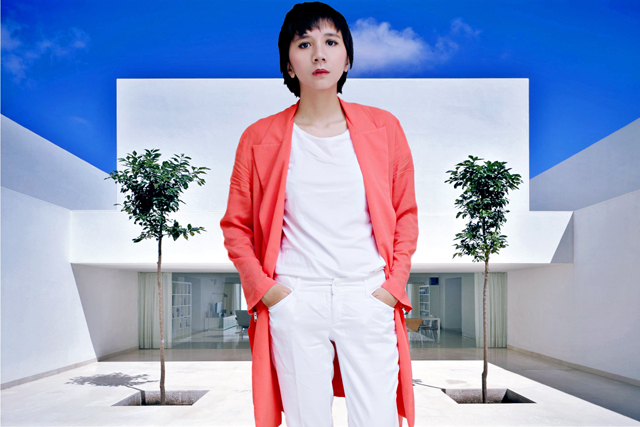 This orange coat is made from rayon and tencel, It's so light and very comfortable for tropic weather (very hot over here, 34 celsius). SMK designer Sandra Meynier Kang bring us simple and elegant clothes tending to sustainability. I love the way she positively develop SMK in a respective growing way for our environment. I mixed SMK orange coat with white pants and top, I've got this color inspiration from Salmon Sushi :p, for final touch I added hologram heels to made the outfits brighter. Anyways, I made some photoshop experiment in these photo, I just learned how to select an object and change the background. It's very fun! I've got the background from an architecture blog called Minimalissmo, they features tons of unique home, you guys must check their site! 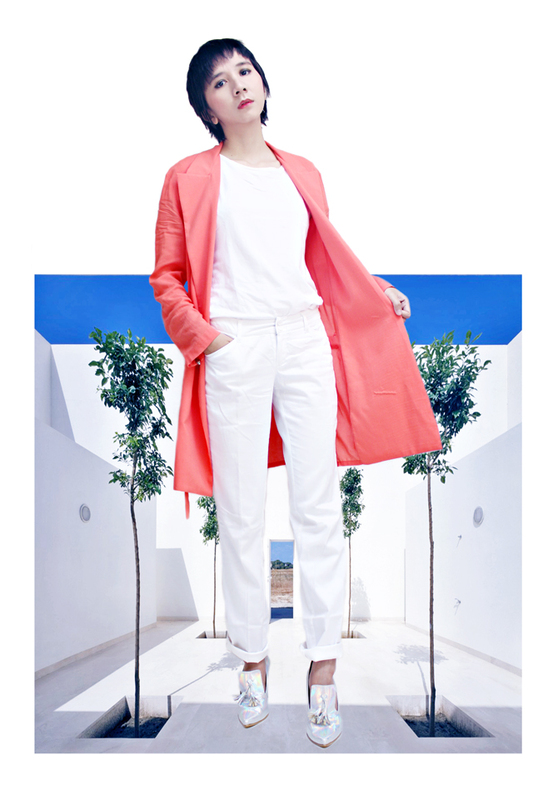 Zara T-shirts (ASOS has similiar white tee), SMK Orange Coat (SMK has the coat in blue too), Mango White Pants (Asos has another pretty white pants, and June+Julia Hologram Heels. I hope you have a wonderful day, and I challenge you to wear a colorful outfits too! Credits // Photography by My Mom. Background photo by Minimalissmo. Photos edited by June Paski. Yes, It's very tough. but It's very worth to try. I love the way you added a colorful jelly fish pattern on your outfit. I really love it! Those orange coat *__* I wish I have some courage to wear it. I love how you edited these pictures. They look super artsy :) I'm happy you picked up the coat, because it looks awesome on you, especially in combination with the all white look! the photos look cool and i love the shoes! Loving that coral coat, doll! I just love this simplistic look. And i am loving your blog. Amazing post. Interesting picture idea! I never thought of doing it like that. I love you hologram heels, they're so unique! Great post! I love these pictures! That orange looks great on you! Thanks Kiki, I've got an inspiration from Japan magazine, They are very creative! Thanks Ashley, Coral is one pretty colors for summer! Hi June! I'm so much like you, loving the soft neutral colors + black!! I recently have been venturing out of my comfort zone to try new colors--the boldest for me are pink and blue…this coral/orange is amazing against your dark hair. Love love love it…and thank for visiting me and I hope we can stay in touch with each other! Amazing outfit! I love your silver shoes! You look absolutely beautiful! I love these photos. Beautiful look! That orange coat is gorgeous! And I love your photoshop skills! Love how you broke up the all white looks with the silver shoes and colored sweater! that is one awesome shoes! These shoes, just perfect for that outfit! The colour of that coat is absolutely gorgeous! I love your shoes as well <3 you've inspired me to try adding a little bit of colour in my next outfit! I love the simplicity of this look! Those shoes are amazing! Fantastic heels and beautiful styling!! I'm so happy you like the photos! Thanks, Anouk! I can't believe summer has come! 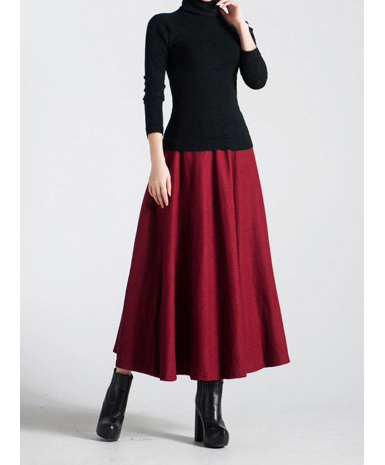 Hi Lauren, Let's we try adding a bold color to our outfit, It's great adventure to out of our comfort zone. Thank you for visit my blog too. and let's keep in touch! Thanks Victoria, coral would look good on you too! Thanks Melissa, Have a nice day too! let's we keep in touch! It is a fantastic coat, and those shoes are killer too! Woooh your shoes, I cant stop looking, because it looks that great! I love the color of that coat - I'd probably snag it too if I came across it. Hope you're still having fun with photoshop - I never did get the hang of it back in school. I am loving the light colors with those metallic shoes! Gorgeous. This is so stunning - I love the coat a lot! the hologram shoes look stunning! Love this look so much, you can't go wrong with an all white look! The pop of color with that coral coat adds the perfect touch!! I love these photos <3 Amazing!!! Looking good June! I also wear a lot of black and white!! Definitely you should try grey or black. It would be great! Thanks Sarah, they are my favs! I try so hard to still like photoshop, you should back play photoshop again! Thanks Quinn, Metallic is amazing with light colors! Thank you Dee, the color coat is so bold, we can be instantly stylish with it! June, I just send a comment to your blog. Do you get it ? such and amazing post. love the hologram heels.